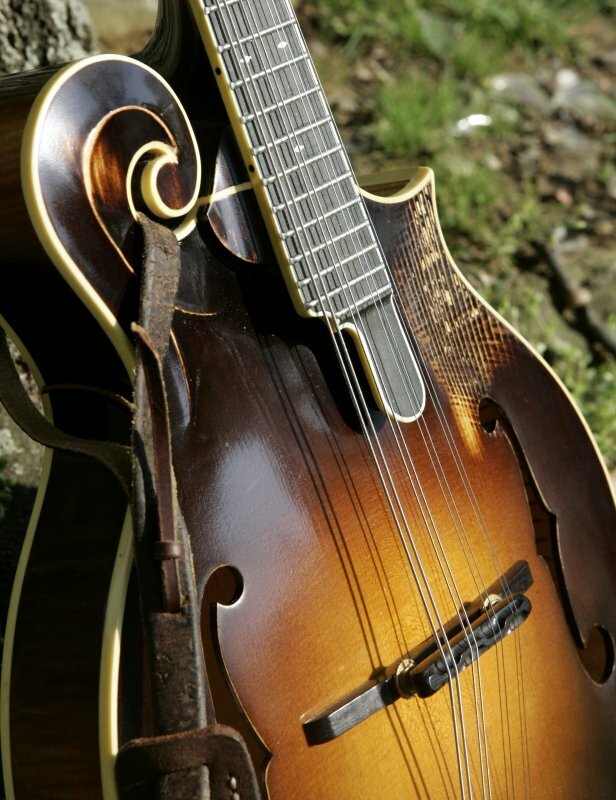 How many of you play mandolin? 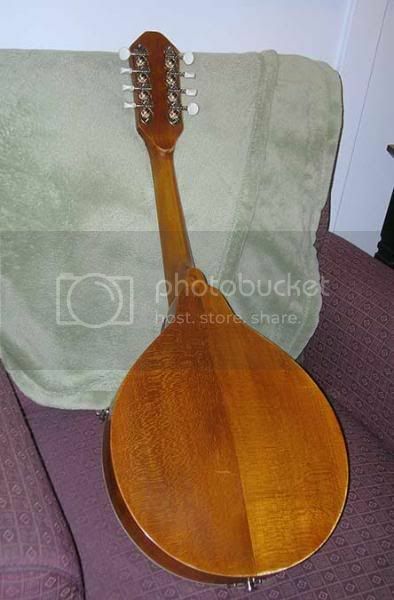 Larrivee Guitar Forum > Forum > Main Forums > Larrivée Mandolins and Ukuleles > How many of you play mandolin? 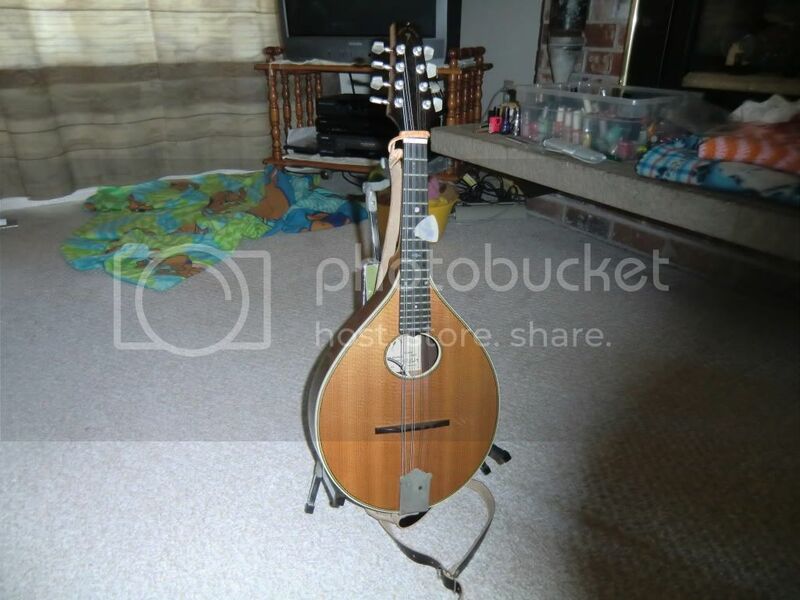 Re: How many of you play mandolin? I've got an old Harmony Monterey that mostly hangs on the wall and looks cool. I've had to replace the tuners and bridge which is a pain on those Harmonys. I enjoy playing it, I just don't do much of it, especially with the new OO. Thankfully the moderators have taken care of this poster. Office Pro indeed! He (the newbie spammer) had tacked basically the same come on replies on three other topics. I'm all for "live long and prosper" but not by spamming us to buy (likely illegitimate) products. I wish they'd have removed my post as well. Now I kind of look ... even crazier than usual. But Duck I already know that your crazier then what most think.Keep it up. 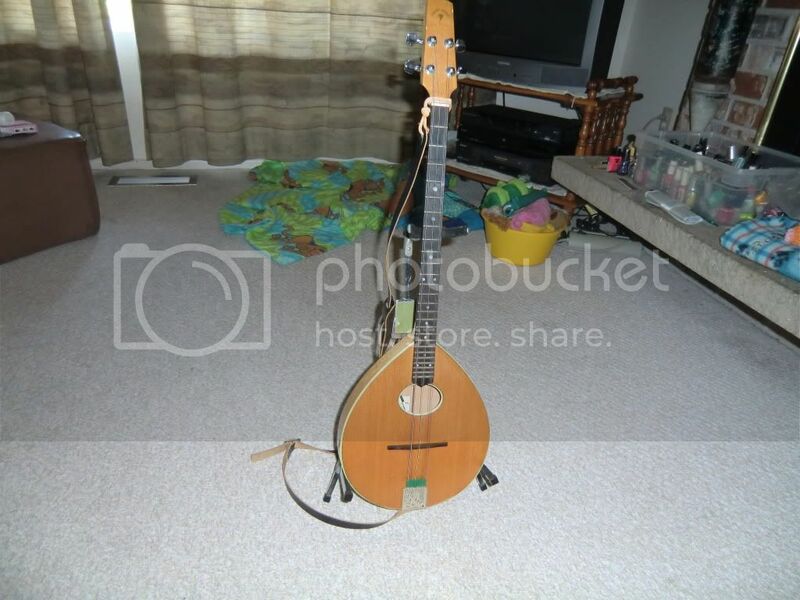 I own a mandolin...don't think that qualifies for playing, at least not yet. Would LOVE a Larry mando, F style of course as I LOVE the strap holder. 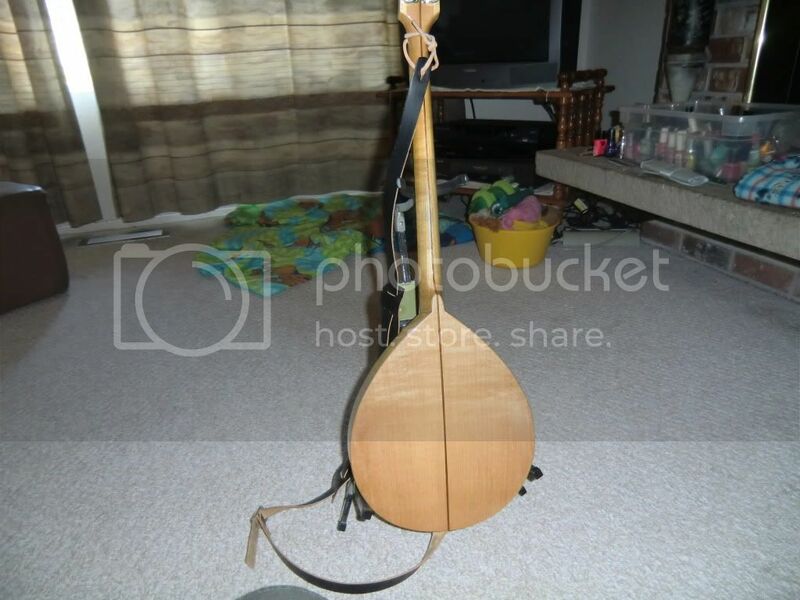 Made by an instrument maker in Canada. I met him while he was building this mando. Very nice Atlas! Do you know the builder's name? The Brand is Celtic Heart and the builder is Terry Warbey from Salt Spring Island. A friend playing it. He is an awesome player on mando, fiddle, and guitar. This was when it was just done and neck adjustment was still to be done as well as it had a couple of high frets. Thankfully there are no clips of me playing it. I play an Eastman 505, A-style. My wife plays it much of the time when we're making music together. It's a great instrument. Here's mine. 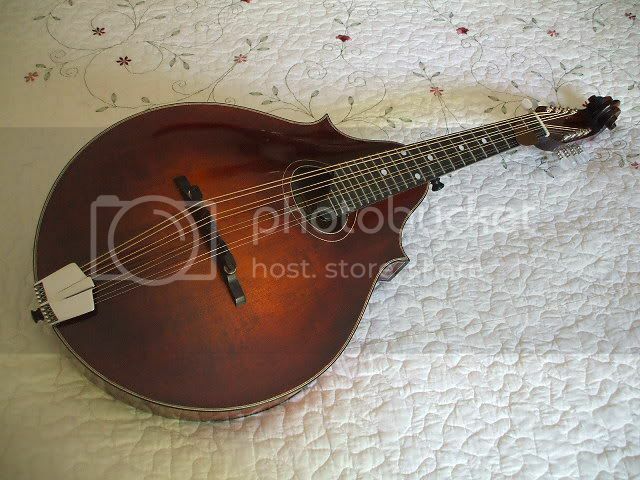 Heritage H40 Mandolin. Heritage only had a few of these babies made, back in the '80s/early'90s. This is from our gig this past weekend in Steelville, MO for the Patriot Guard. 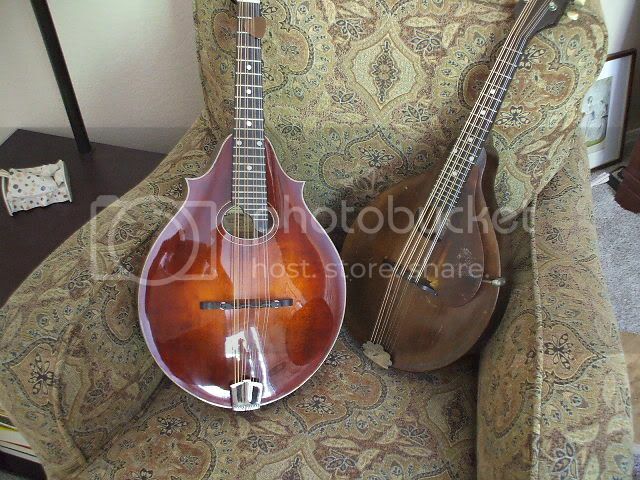 Here's a couple new...well, one of them is not exactly new: it's a Gibson A Jr. circa 1924-25'ish. 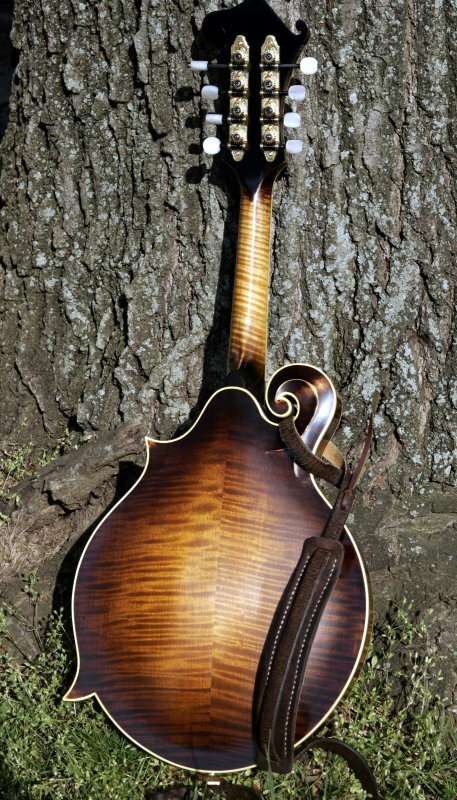 The Eastman Mandola is a special project between David Grisman (the Dawg) and Eastman. It's a replica of his 20's era Lyon & Healy Brownface. I'm loving it! ...and here is a pic of them both sitting in my reading chair just a-waitin' to be played! My son has been playing for just over 2 years and I promised him when he started that I'd get him an F style if he practiced hard and stuck with it. Well, he kept his end of the bargain so I had to keep mine. 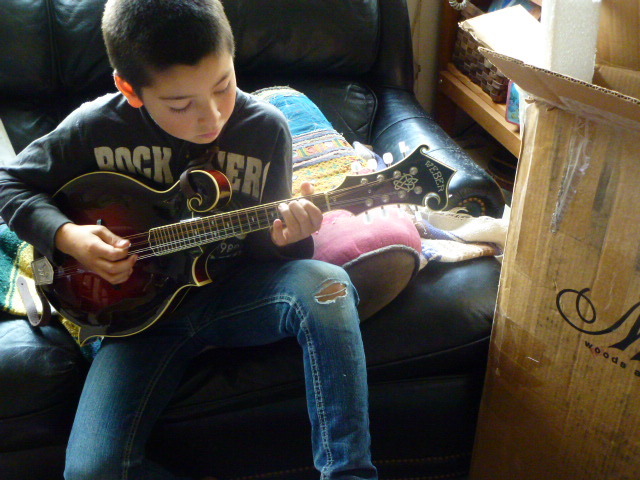 Here is a picture of him just after opening the case and one of him playing it. And here is a link to a video of him playing it last night. 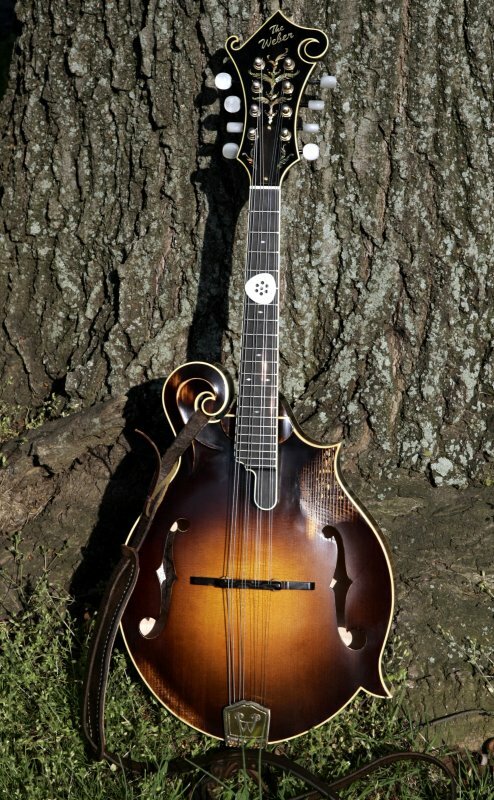 Great mando, but I still prefer my Larrivee A-33 over it! Awesome! I sure do wish my Dad, or anyone for that matter had bought me a Weber when I was first starting out... Well, I guess Weber wasn't around all those many days ago! 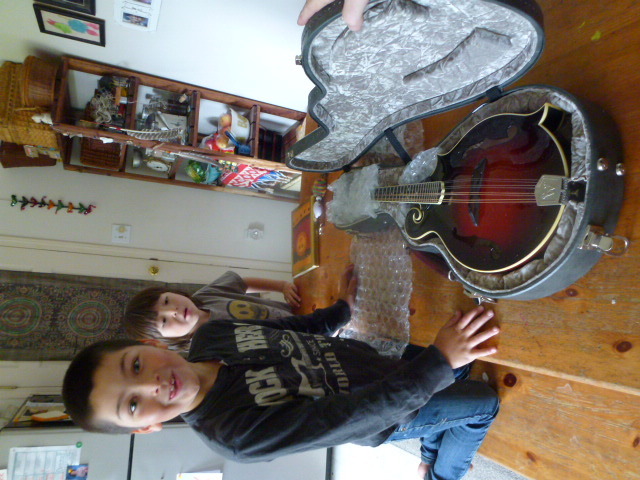 Very nice mando that should last him and inspire him to play for quite awhile. Yes, it is always nice to visit Dennis & Brian's shop. I have been working with Dennis for many years. Back when he was just starting up in his old shop in Ohio. I was doing cartwheels when he called me and told me he was moving to Arizona. They originally were in Wickenburg, a couple hours away. They moved to Surprise, essentially West Phoenix this past Summer and that puts them only 45 minutes away... Not so sure that is a good thing! Too Many Projects, not enough finished guitars. 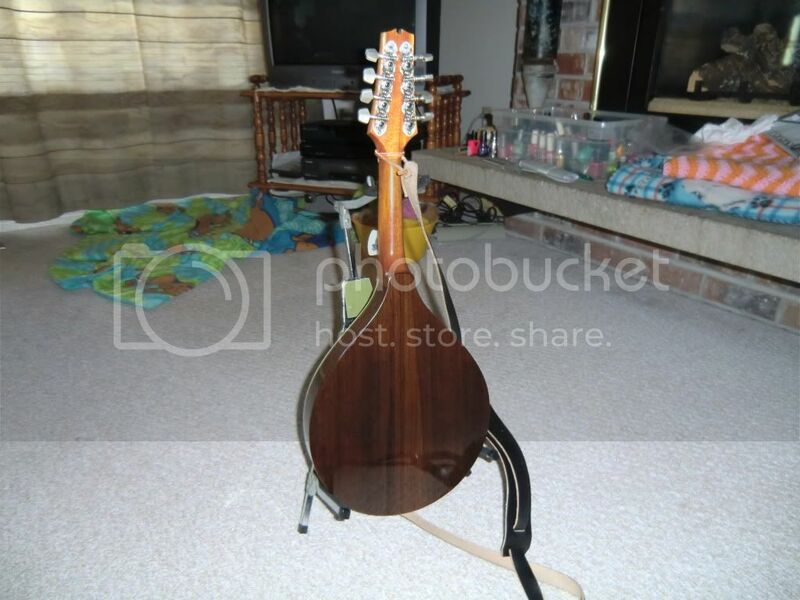 I have a really nice Breedlove Americian 00 in Sunburst. I have a K&K pickup installed and it sounds soooo much better than piezio's!! 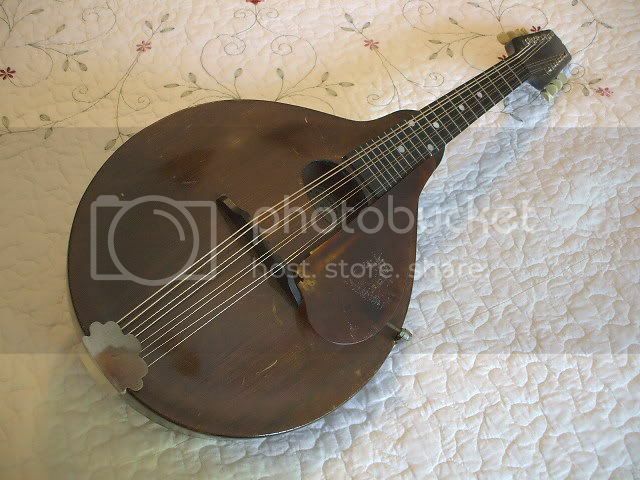 Actually, it looks as though it may be one of the mandolin store's custom distressed Weber models. I've owned a few Webers' and feel Bruce makes a nice instrument. This one above looking to be a fine example! 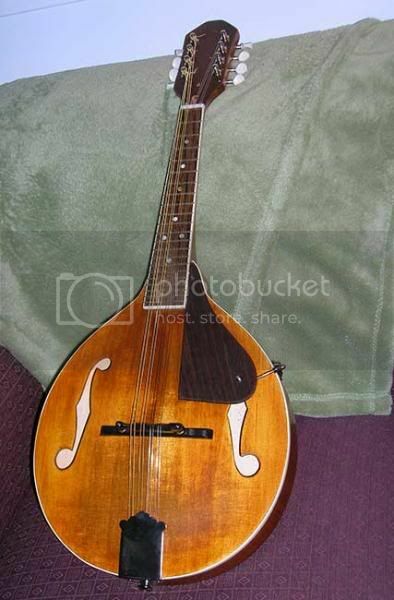 I've playing mandolin for about 30 years now and I'm lucky enough to have asked the great John Monteleone to build me one in 1982. Now I would be able to afford it but it's such a great instrument, I will never sell it.